DON’T LEAVE HOME WITHOUT IT- this has all the maps, attractions, campsites, flora, fauna and information for your journey on Australia’s Longest Shortcut. A great handbook to get the most out of the Outback Way. 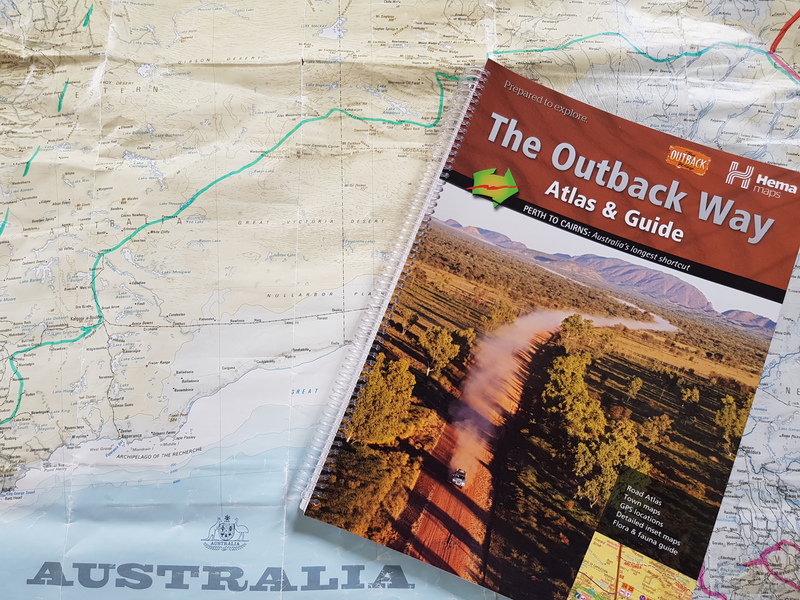 Australia’s major mapping company publishes the Outback Way Guide & Atlas, which provides an in depth coverage of the entire route, the places to stay, attractions, places off the beaten track that are a must see, the geocache trail, the bioregions, flora & fauna, a great field book to have with you as you journey through the heart of Australia.